Uno, dos, tres! We're talkin' pineapple chunks, crushed pineapple and pineapple juice. 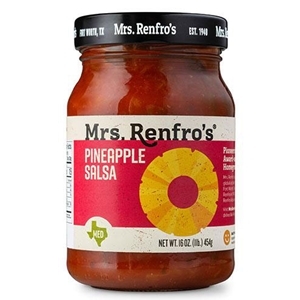 Add a bit of cilantro, a hint of heat and Mrs. Renfro's Pineapple Salsa delivers a real taste treat. Pineapple Salsa Pizza? Wow.